It is not uncommon to get the concept of SEO all wrong in the beginning. This problem exists due to a misconception that SEOs are the ultimate solution to failing businesses. SEO is actually a long-term process that if executed accurately, will bear promising fruits. This process demands a lot of patience from businesses, which they lag, and that is where everything falls flat. As an entrepreneur, you may not be familiar with the functions of an SEO, so availing the best SEO services will introduce you to the concept of S.M.A.R.T. SEO goals that will sort out all SEO issues. It is not easy to implement and measure the success and progress of an SEO strategy with vague goals. Setting a goal of ranking a certain keyword will not be as beneficial as perceived. A better and successful way to deal with this exceedingly vast goal is to deal with it in parts and making more specific and smaller goals out it. These goals could be things like getting X number of visitors within a given time or X leads or X many sales are just a few of the many digital marketing tricks. Having specific goals makes it easy to measure. What is the point of setting goals that cannot be measured? The ranking system when high for a keyword to increase website traffic leads to even higher sales. The best SEO company in India should help you get a better idea. You need to follow the same process of breaking down the larger objectives to make them measurable. Keep a track of how much site traffic has been achieved, what attracted people to the site, what drove them to make a purchase, the hour that witnessed maximum traffic and what demographics do those visitors fall under. Once the results have been published, it becomes easier to measure, understand where your business stands and what aims should be set. …you are ready to deal with the increased traffic. Make sure you do not set objectives that are unachievable so you do not start your SEO journey on an unachievable note. Yes, your goals should challenge you, but not put you down. These goals are sometimes called recorded goals. To be able to craft realistic goals, business owners need to analyze and assess the quantum of resources of their companies. The best SEO company in India can take care of this problem for you. 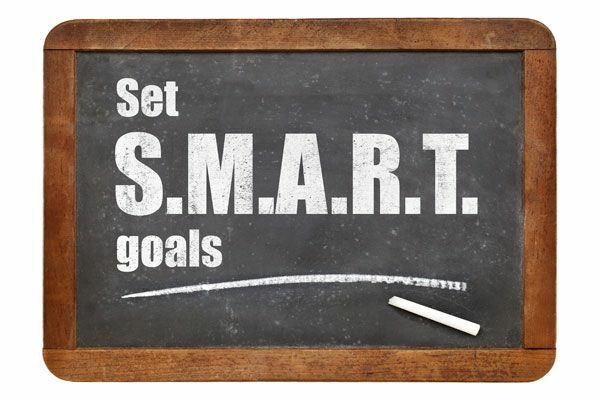 When it comes to SEO goals, the ‘R’ in S.M.A.R.T. can also stand for “relevant”. When you opt for keywords, make sure they are relevant to the products you’re selling or the services you provide. You will know your SEO goals are irrelevant when there is a boost in web traffic but no rise in the conversion rate. Some other S.M.A.R.T. schemes also take ‘R’ as “recorded.” It only indicates that the goal set is realistic and contains physical elements that are being recorded or studied. The time taken to set up, monitor, maintain and derive results from SEO can be time-consuming for realization. Google’s algorithm being dynamic requires constant monitoring and tweaking of SEO strategies. There is no fixed time frame for the SEO to produce results; it can take months or years. Nevertheless, having a time frame will help you stay focused and will drive you to achieve it even more. Goals without planned timelines are likely to be procrastinated or altogether canned. In conclusion, S.M.A.R.T. goals won’t just craft a top-performing SEO strategy for your company. The scheme along with the best SEO services will help in formulating a promising strategy that will eventually help your overall business and marketing goals to prosper.